In this section different projects implemented (or in progress) by Chair are presented. In close collaboration with webatelier.net and others, the Chair has contributed to develop the new website of the Foundation. 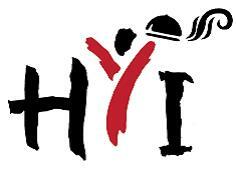 The Chair in collaboration with the Hospitality Youth Initiative (HYI), a non-profit organization in South Africa with support of the Regional Tourism Organization of Southern Africa (RETOSA) is designing an awareness campaign for Southern African Development Community (SADC). SADC region is composed by 15 countries: Angola, Bostwana, Democratic Republic of Congo, Lesotho, Madagascar, Malawi, Mauritius, Mozambique, Namibia, Seychelles, South Africa, Swaziland, United Republic of Tanzania, Zambia and Zimbabwe and in total all these countries are hosting 38 WHS: 16 cultural, 19 natural, 3 mixed. The project’s goal is to raise awareness of the importance and universal value of the World Heritage Sites in the SADC region, primarily, among students (16-19 years old) as well as other publics. For more information please visit www.whacy.org. In 2012 ORANGE SA has donated its Swiss Corporate Social Responsibility (CSR) budget for a project to design and develop a mobile application for the two UNESCO WHSs in Ticino, i.e. the natural site of Monte San Giorgio and the cultural site of the Castles of Bellinzona. The project is currently being implemented at webatelier.net lab (USI). Important to note, that the two WHSs in Ticino make a unique combination of cultural and natural heritage in one region and this distinctive match could serve for designing an innovative application encompassing both types of UNESCO heritage. Thus, the application could become a prototype and be extended to Switzerland’s level encompassing all eleven WHSs, and possibly becoming a showcase on a global scale. The collection of the media articles covering the press conference where the app was launched can be accessed here (Italian language).